If your tired eyes are in need of rescuing then these makeup artist tips might just do the trick. There's nothing that a good nights sleep can't fix. But getting 40 winks is easier said than done sometimes, especially with the do-it-all lifestyle we have these days. Sometimes, you have to fake it to make it. And when you need to fake being bright eyed and bushy tailed, makeup is a good place to start. So here are three of our pro makeup artist tips for more wide awake eyes. We all know the power of a good concealer. It is literally tired eyes' best friend. But in a cruel twist of fate, the wrong concealer can actually make us look more tired (Bah!). 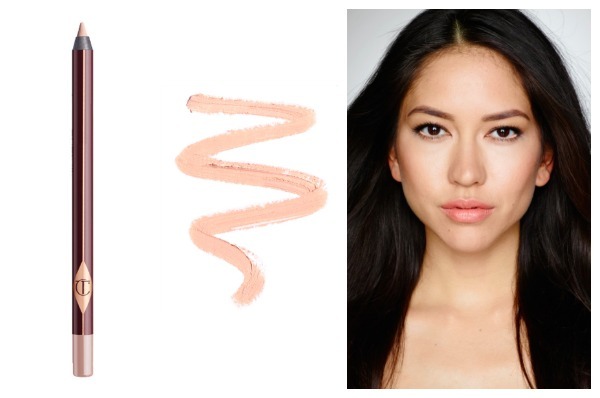 If the consistency is too thick or powdery, concealer can look unnatural and more importantly, unflattering. Hydrating, light reflecting, pigmented concealers are perfect for brightening under eye circles. We love BareMinerals BareSkin Complete Coverage Serum Concealer (€26 in Boots) and Maybelline The Eraser Concealer. If there's one makeup artist tip we can give you it's to get one of these, stat. Eye brightening pencils (AKA concealer pencils) are by far one of the easiest ways to brighten eyes. Oh, and they also work well for making eyes look bigger too. Huzzah! Charlotte Tilbury Eye Cheat (€25) is the luxury buy, while Catrice Made to Stay Highlighter Pen (€2.30) is our favourite budget option. We did a compare and contrast piece about them before if you want to learn more. One of the first things that a makeup artist will do when working on a beauty look, is pick up the lash curler. Curling lashes helps to instantly open eyes and give them a more wide awake appearance. It's a simple step to miss in your makeup routine but can make all the difference. Another quick tip that I like to do for clients and when working on editorials, is to use a black mascara on top lashes to define and then a brown on the bottom lashes. The contrast draws attention to the top lashes but still gives definition to the lower ones, just in a softer way.